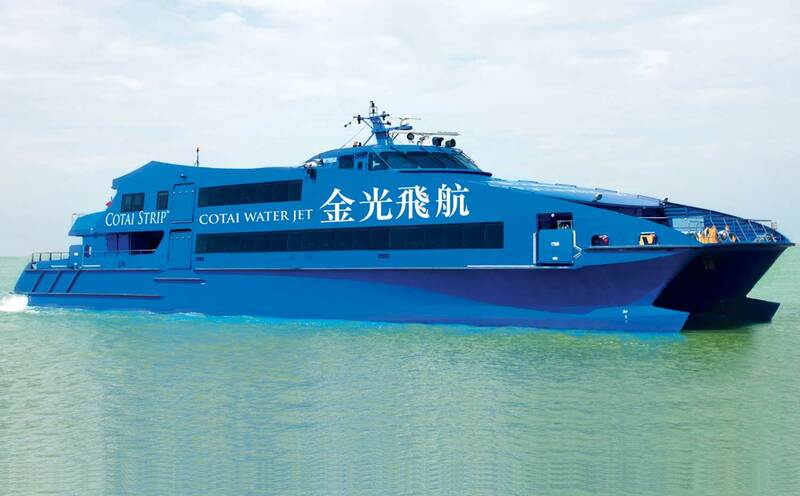 (Macao, Feb. 18, 2016) – Cotai Water Jet has introduced two new promotions to ensure that passengers have an unrivalled experience when they travel to or from Macao. The first offer gives first-class passengers travelling to Macao a free one day Wi-Fi pass for use in Macao, ensuring that guests can remain connected even after they have left the ferry. The second offer gives followers of the official Sands Resorts Cotai Strip Macao WeChat account new benefits including discounted tickets across both Cotai Class and Cotai First. Until March 31, 2016, customers who purchase full fare Cotai First City Route (Hong Kong to Macao) or Airport Route (Hong Kong to Macao) tickets through the Cotai Water Jet website, the mobile app or at Cotai Water Jet ticketing counters can enjoy a CTM Wi-Fi One Day Pass, ensuring they can stay connected whether they are travelling for business or pleasure. Visitors to Macao can use the Wi-Fi card to learn about Macao’s unique history or find the best places to visit or enjoy some local cuisine.